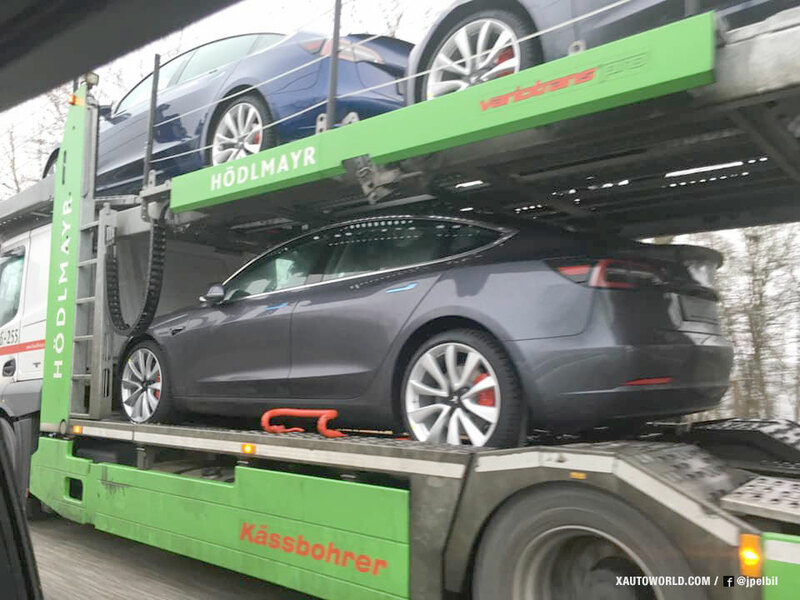 A semi-trailer loaded with European Tesla Model 3s has been spotted in Denmark, photos and video suggest a shipment has already landed in Europe. 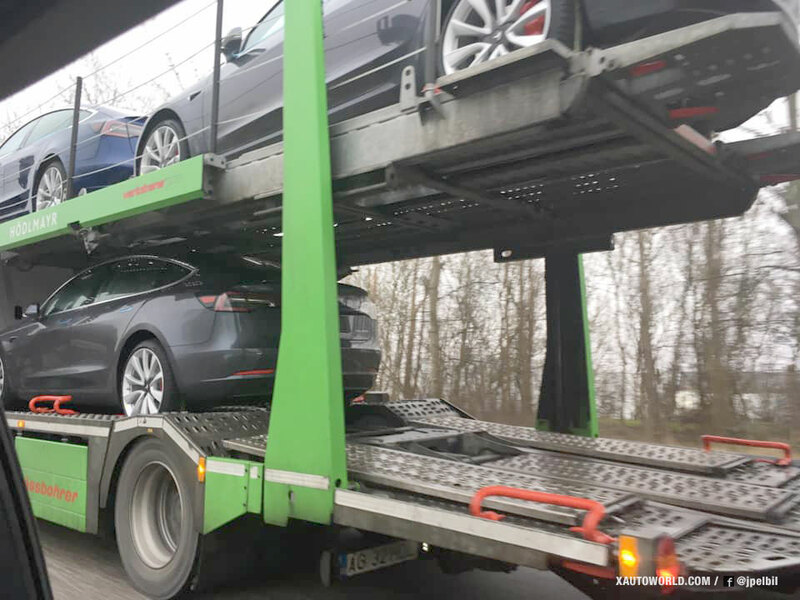 Danish EV enthusiasts Jan & Pouls were on their way when they saw a car carrier semi-truck loaded with Tesla Model 3 vehicles and did not miss the chance for getting some pictures and a video (below). 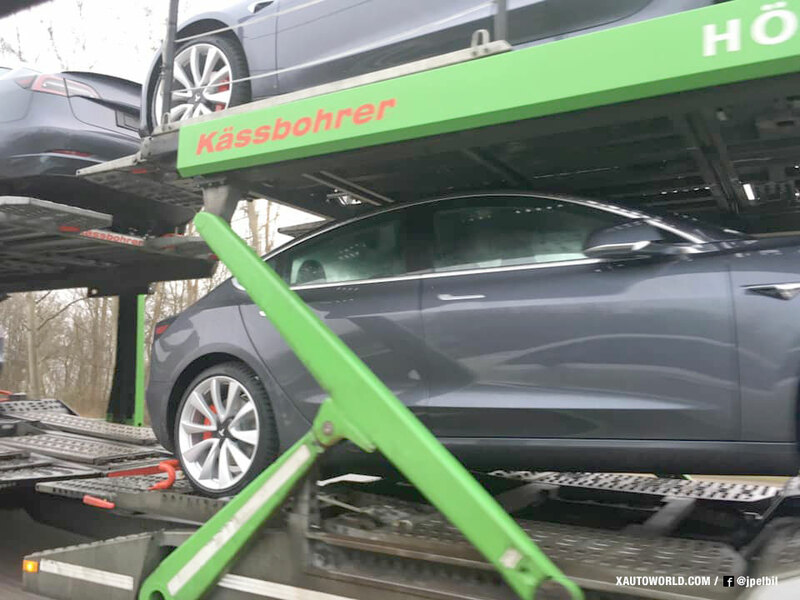 The loaded truck with Model 3 vehicles was on Køge Bugt Motorvej (Køge Bay Motorway) towards Sweden — the most likely destination of these Model 3s is Norway as the country is expected to be the first in line to get the deliveries. 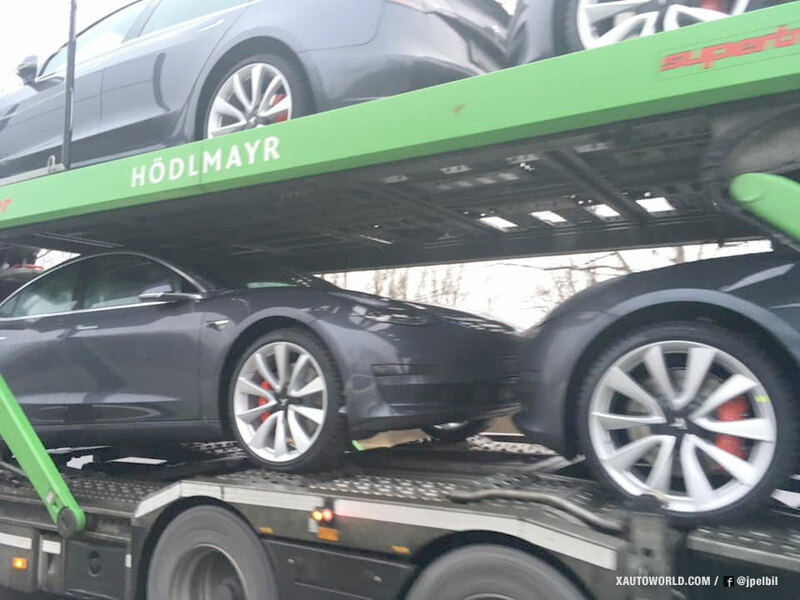 We previously reported that a vehicle carrier vessel named ‘Glovis Captain’ had left the Port Of San Franciso loaded with thousands of Model 3s — Glovis Captain has now reached Panama bay and is most expected to move towards Europe as its final destination. Another ship named ‘Glovis Cosmos’ is reportedly destined to off-load another batch of Model 3s to Norway. 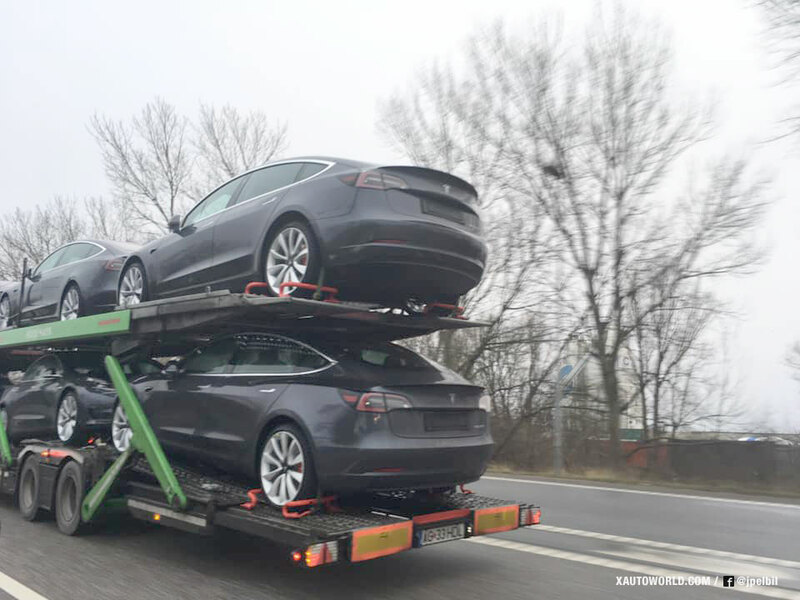 But looking at these spotted photos it seems like a shipment of European Model 3s has already landed in Europe — deliveries to customers will be a smooth process as Tesla has already secured the homologation approval for the European Tesla Model 3 variant with the CCS charge port. 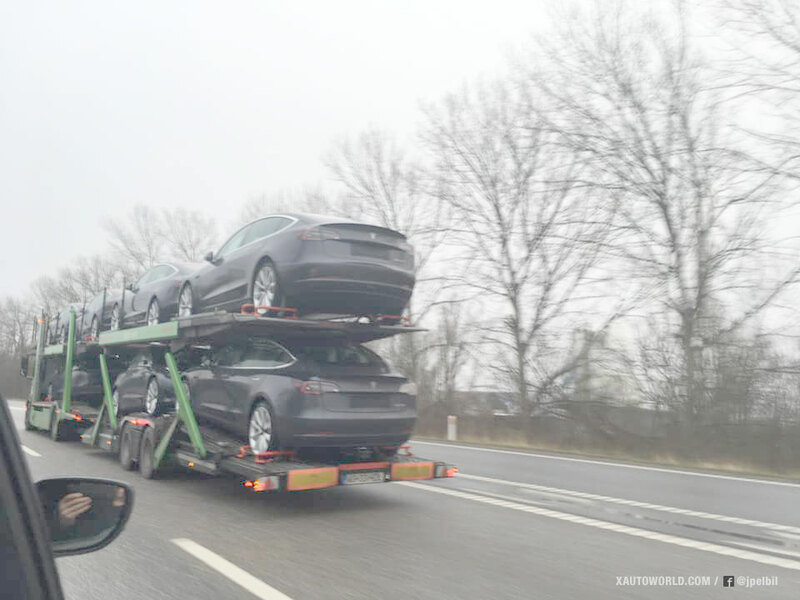 Most of the Model 3s loaded on this trailer are in Midnight Silver Metallic (gray) color and seem to be the Performance versions as we can see the sports wheels and lowered suspensions. 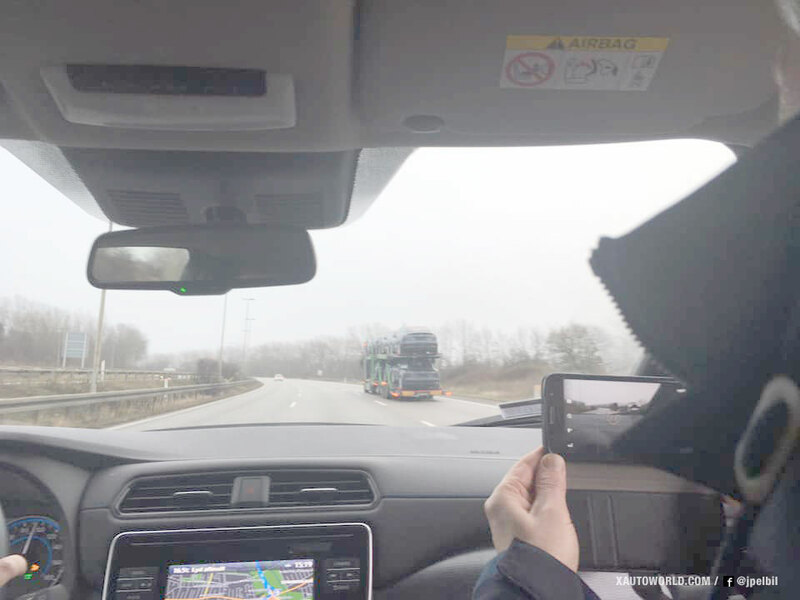 The duo of Tesla/EV enthusiasts was also able to shoot a short video clip from their car when passing the Model 3 carrier (below). Jan & Pouls also run their Facebook Page/blog dedicated to Electric Vehicles in Europe name ‘Jan & Pouls Elbilblog‘ that you can follow for further updates. 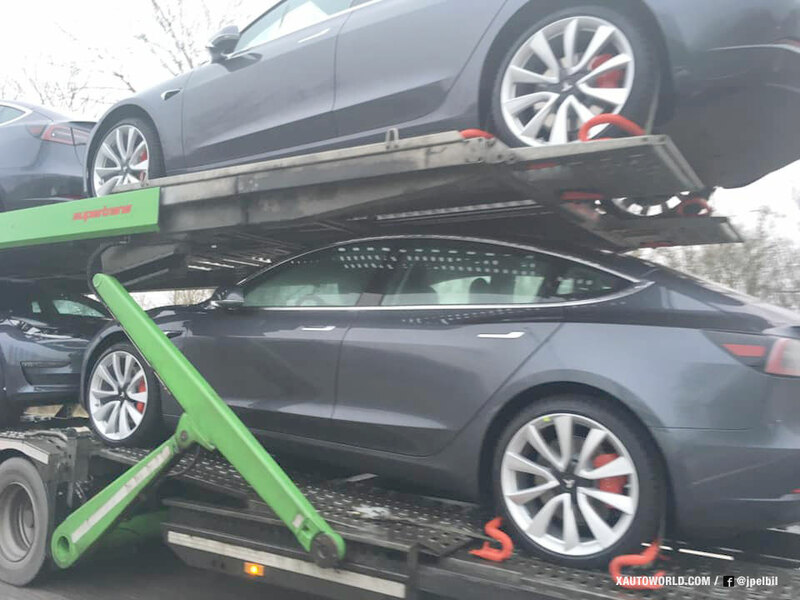 Tesla has accelerated the China and Europe Model 3 deliveries as we today saw the first leaked pictures of the Chinese Tesla Model 3 Performance with the ‘Power Sports Wheels’ native to China.